The product DZ4301A15 is a high power density Pd / Ag content resistor paste specially designed for thick film resistors on 430 type stainless steel substrate. This model DZ4301A15 is with resistivity of 1000mΩ/sq and temperature coefficient of resistance of 1500 ppm/°C with fired process at 850℃. It is with high power density, low sheet resistance, small resistance drift, and perfectly match with the general dielectric paste, overglaze paste and conductor paste. 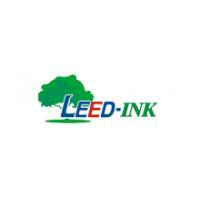 The resistance of LEED-INK DZ430XXXX series ranges from 10mΩ/sq to 2,000mΩ/sq while TCR ranges from 600ppm/℃ to 1500ppm/℃. Intermediate resistance may be obtained by lending the two members of a TCR group. This thick fim resistor paste DZ4301A15 is fired at 850℃. It can be printed on heating elements on stainless steel, and alumina ceramic substrate for making thick film heating element and circuits. It is used to design heating elements on stainless steel substrates in combination with LEED-INK dielectric paste. The low sheet resistance is the basic guarantee to achieve high power. 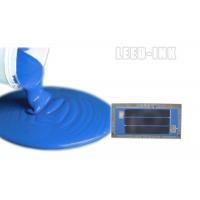 LEED-INK resistor paste is with low sheet resistance and can ensure the high power of the thick film heater. The resistance does not vary with the heating times, and it is very stable with small drift after re-firing. 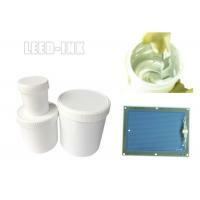 This enables the stable performance of the thick film heater. When the thick film resistor work, the heat release and the resulting temperature rise is inevitable. As thick film resistors operating at high temperature for long time, to maintain the same performance, it must have excellent high temperature stability. 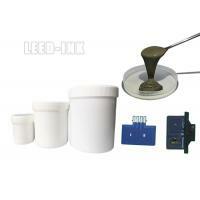 LEED-INK thick film resistor paste is with stable temperature coefficient to ensure the resistors stable performance. 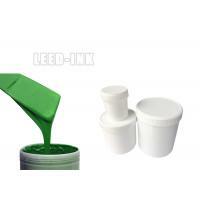 The paste is with proper viscosity, good thixotropy and levelling properties which enables excellent printing properties. 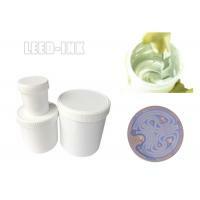 After screen printing, the film is well-distributed, compact, clear and smooth. 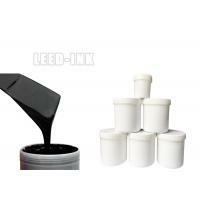 Thick film paste are the first product which LEED-INK researched and developed since 2002, and by years of paste industry experience, we have obtained professional thick film circuits design ability. Let us have your detailed requirement, and the perfect customized thick film heater circuit designed for you would be offered asap! The first two Xs in DZ430XXXX represents the resistivity of the paste in tens of mΩ/sq. (e.g. DZ4301015 is a 100 mΩ/sq.paste). The third and fourth Xs represent the temperature coefficient of resistance in hundreds of ppm/°C (e.g. DZ4305015 is a 1,500 ppm/°C paste). The resistance of DZ430XXXX ranges from 10mΩ/sq to 2,000mΩ/sq while TCR ranges from 600ppm/℃ to 1500ppm/℃. Intermediate resistance may be obtained by lending the two members of a TCR group. 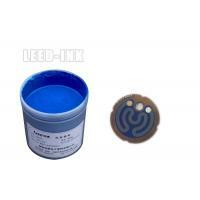 LEED-INK resistor paste DZ430XXXX series has good compatibilities with LEED-INK dielectric paste JZ430X series and conductor paste DT430X series.